Welcome to Healing Touch Chiropractic! With two convenient locations in Mobile and Fairhope, Healing Touch Chiropractic is here to serve all ages with natural healing solutions. 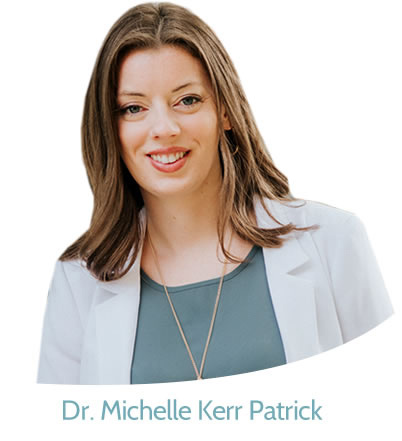 Mobile Chiropractor Dr. Michelle Kerr Patrick is a family practitioner who sees babies, children, athletes, expecting moms and everyone who is seeking to live a higher quality of life. Chiropractic care can optimize the communication between your brain and body so that you can function at 100%. Dr. Kerr Patrick also offers Applied Nutrition Analysis to maximize your body’s dietary needs. When you become a patient at our office, you’ll have the opportunity to learn about healthy eating, detoxification, minimizing stress and using exercise as parts of a holistic lifestyle. In today’s world, we’re bombarded by stress. Whether physical, chemical or emotional, your health will be adversely affected by these stressors. Sometimes, you’re plagued by discomfort or sickness that just won’t go away, and other medical professionals may have been unable to offer you a solution. By listening carefully to you and performing a thorough evaluation, Dr. Kerr Patrick seeks to understand the full body picture of your health. Once the underlying cause is located, we can determine how best to help you. 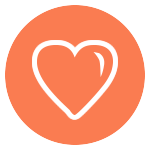 With a caring and personal touch, we believe in the importance of forming a partnership with you. You’ll feel fully informed about your particular problem and how we plan to help you. Dr. Kerr Patrick's abilities enable her to provide care to every part of your body, from head to toe. Though you might have pain in one area of the body, it can originate from elsewhere. By taking the time to determine your individual needs, we'll put together all pieces of the puzzle necessary for the most effective treatment. Contact us today to learn more or to book your time with Chiropractor Mobile Dr. Kerr Patrick! After being diagnosed with COPD and being told I needed a hip replacement and a disc was deteriorating in my lower back, I needed some kind of relief so I started to see Dr. Kerr. After a few adjustments I noticed some relief to make me comfortable. I still continue to come see Dr. Kerr for relief maintenance every two weeks and it really makes a difference. My four year old was diagnosed with reflux and I brought her to Dr. Kerr. After four appointments, he was better and no longer has reflux. Healing Touch Chiropractic has helped me with my painful problems so much. Dr. Kerr is very good at her practice and explains the problem so great. I really look forward to my appointments. My neck was hurting really bad and Dr. Kerr got me out of pain. She is super nice and really listens to what you need. I have been seeing Dr. Kerr for about 3 years. I began with headaches and in no time I could feel a difference. We have continued care and I would recommend her services highly. Very pleasant office and staff. One year ago I could not even stand up straight because of sciatica. Now I’m pain free; no problems with my back or spine. Dr. Kerr and Laura are very caring and a pleasure. Dr. Kerr has explained every step she has done to me and made it easier for me to know what’s going on with me. Dr Kerr Patrick does a great job, and helps keep me in good health. So glad to meet Laura and Dr. Kerr-Patrick today at Healing Touch!! Wonderful evaluation and adjustment on my very first appointment. Thanking God for you, and looking forward to my next visit, and progress. I highly recommend Dr. Kerr. She is caring, knowledgable and is not afraid to give a firm adjustment when needed. Her services are also affordable. I have received great care. I love how Dr. Kerr is concerned about me as a whole person. She takes time to know her patients. I am truly enjoying the maintenance phase of my care. Wonderful attitudes by everyone and a nice comforting atmosphere. Great experience. Looking forward to my next appointment!